Shape and identity were given to our company in the year 2000, when its owner, Patriek Destrooper, who had been running a leading fourth generation family business for over 25 years, decided to shift part of his attention from biscuits to chocolates. With the help of a skilled Maître Chocolatier. Our delicious chocolate artworks, rapidly found appreciation worldwide. In 2002, our hard work was rewarded with the "Chocolate of the Year" award. Apart from the moral obligation to preserve this national quality, Noble wants to take it a little further. Since 2015, the very best cheese were used to create our own crunchy cheese biscuits. Noble Food Group today, is an outgoing and self-assured company that radiates quality. We are convinced that curiosity and an open-minded approach are the keys to a bright future. In 2000 the chocolate company 'Hanssens', a subsidiary of Jules Destrooper, was founded. In that year, we started the production of pralines for the premium segment. The launch of the chocolate cups with delicious filling also took place in 2000. In 2001 we have been awarded with the "Chocolate of the Year" award. Noble Chocolates today, is an outgoing and self-assured company that radiates quality and finds its way to the high-end of the market at an incredible speed. During our very first participation in SIAL 2002, the food trade fair in Paris, our products received applause and we saw our dedication crowned with a "Selected Trends & Innovations" award. Patriek Destrooper becomes 100% owner of Hanssens. Hanssens is known today under the name Noble Chocolates. To invest in a solid growth of the company, Noble Chocolates decided to expand the establishment in Veurne. We started in 2000 with one product: our well-known chocolate cups, which are still made with our own constructed machines. 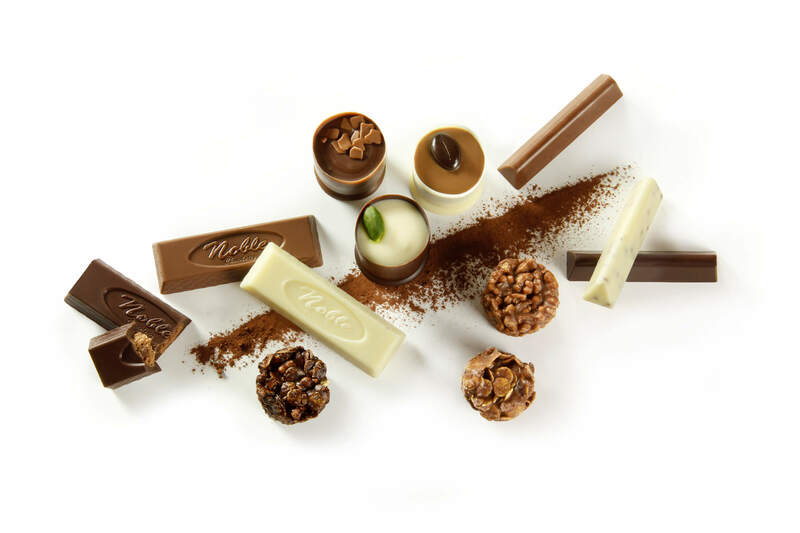 A few years later, in 2007, we decided to renew and realize a new production line of our refined chocolate cups. In 2009 we decided to expand our assortment with delicious Easter eggs. Each Easter egg is made from pure Belgian chocolate. Famous for its expertly crafted chocolate cups, Noble Chocolates has helped spread the reputation of Belgian chocolate around the globe ... In 2010 it launched a Crispy Cup box, nine crispy chocolate cups with an extremely delicious filling and an entire hazelnut in the middle. Noble launches a new brand, Noble Savoury. Crispy biscuits based on aged cheese. This expansion of the assortment also brought a new establishment: Noble Savoury in Roeselare. 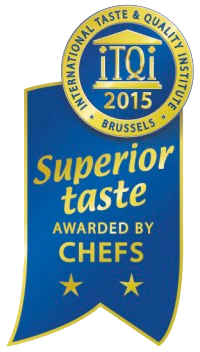 Our cheese biscuits were rewarded with the Superior Taste Award 2015. An annual prize awarded by the International Taste & Quality Institute since 2005. New assortment of chocolate snacks: clusties, chocolate sticks and mini-tablets. There's also a new assortment of cheese biscuits that's divided in two ranges: the 'Gold line' and the 'Silver line'.